Divestment decisions last month at Harvard University heartened student activists and reinforced a growing national consensus about the harmful nature of fossil fuel investments. A large Danish pension has divested itself of investments in 5 Canadian oil producers, citing concerns about fossil fuel companies becoming stranded assets and facing long-term heavy financial losses. They predicted that a “low-carbon future” would create a vacuum and heavy losses for these former investments. The Trustees at Columbia University voted to recommend divesting from companies which derive 35% or more of their revenue from thermal coal production, based on information provided by the Advisory Committee on Socially Responsible Investing. Institutions are reacting to public outrage over fossil fuel investments. Through divestment from fossil fuels, profits that wreak havoc on our planet are being diverted to alternative energy and other investments that can provide a sustainable tomorrow for the world’s citizens. Often framed euphemistically as a way to free up capital to join in markets focused on innovation, divestment is becoming a method for financial firms to help their clients face dynamics of disruption. No longer is an emphasis on fossil fuel investments that point to market fundamentals or maintaining a geographic footprint enough of a foundation even for the most traditional investor. Why? 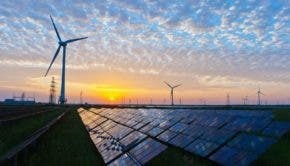 Investment firms have started to recognize that, when thinking like a buyer, investment success in the long term depends more on preparation, flexibility, and acceptance that formerly performing fossil fuel stocks may now be part of a collective of disrupted industries. In essence, previously unseen “geopolitical uncertainty and technological change are making portfolio and divestment strategy more vital than ever,” according to the Global Corporate Divestment Study 2017. In lay terms? The people have spoken. Arguments that investing in the fossil fuels of oil, coal, and gas was morally reprehensible started on US college campuses in 2011. Since then, the divestment social movement has been challenging the business model of the fossil fuel industry. Momentum around divesting surged starting in 2014, when a number of symbolic institutions and opinion leaders spoke out publicly against investments that would spur on the fossil fuel industry. ◊ The World Council of Churches, representing half a billion Christians, ruled out all fossil fuel investments. ◊ The Guardian Media Group divested its funds, following its subsidiary newspaper’s “Keep it in the Ground” campaign. ◊ The G7 called for a complete decarbonization of the world’s economy. Divestment trends continue to take place in unexpected regions, and activists are persuading a broad range of institutions to step up and assume climate leadership roles. Institutions and investment firms are creating momentum around the world as they remove capital from stocks, bonds, or funds invested in fossil fuel companies . Indeed, as the Global Divestment Mobilization entered its first full week, thousands of people worldwide intensified their demands for institutions to divest from the companies most responsible for causing climate change. The Mobilization, which took place on every continent and 42 countries worldwide, everywhere from China to Somalia, hoped to be a “powerful, rejuvenating reminder of the influence we can have over the fossil fuel industry’s public image.” Events to support the advocacy included art and theater that highlighted climate impacts. So, too, did street actions and conversations spread the word about divestment, with thousands of new people signing divestment petitions. Divestment has proven to be one of the most powerful weapons in the fight for climate justice, according to 350.org. When the public support shifts away from the fossil fuel industry, investment and brokerage houses sit up and pay attention. Divestment campaigns are shattering the influence that fossil fuel companies have had on economies and governments and are making space for real climate solutions. 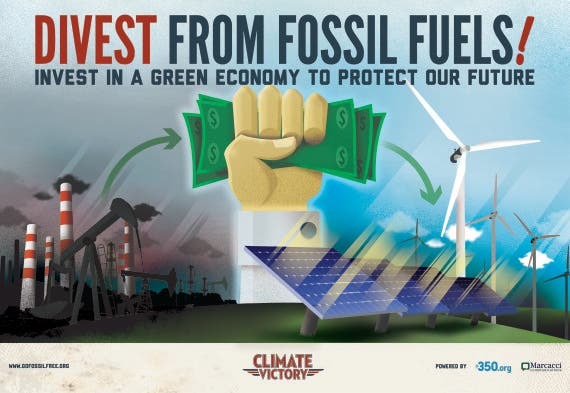 Divestment is an efficacious method to expedite action from the financial sector and to actively highlight the real impact that fossil fuels are having on our climate and communities. Against the backdrop of rumors that the Trump administration intends to pull the US out of the historic Paris Agreement, more than 200 institutional investors worth around $15 trillion wrote a 2017 joint letter to the G7 group of 7 industrialized nations and the G20 group of 20 major economies. In the letter, they pleaded with “all nations to stand by their commitments to the Agreement and to put in place policy measures to achieve their nationally-determined contributions (NDCs) with the utmost urgency.” The letter emerged, partially, in reaction to a March 2017 statement that the G20 drafted a statement in which they failed to mention climate change, climate adaptation, or climate finance. ◊ Reiterate their support for and commitment to implement the Paris Agreement, including the delivery of their own Nationally Determined Contributions in full. ◊ Bring forward focused and targeted long-term climate and energy plans that will ensure their future actions align with commitments under the pact to keep global average temperature rise to well below 2°C above pre-industrial levels and preferably to 1.5 °C. ◊ Drive investment into the low carbon transition through aligning climate-related policies, phasing out fossil fuel subsidies and introducing carbon pricing where appropriate. ◊ Implement climate-related financial reporting frameworks, including supporting the Financial Stability Board Task Force on Climate-related Financial Disclosures’ recommendations. 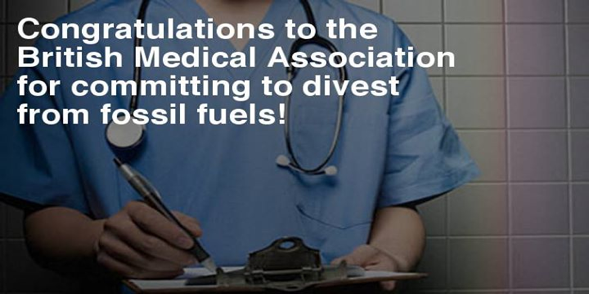 More than 719 institutions, pension funds, universities and faith-based organizations have committed to divest, including more than 100 other cities worldwide. More than $5 trillion in assets are represented as of this writing, with more to follow. On May 9, 2017, 350Africa.org and Fossil Free South Africa launched a Cape Town divestment campaign as a way to rise up with more than just an environmental call: it drew upon economic, political, and moral wherewithal. Divestment was a central component of the South African anti-apartheid campaign. It proved to be an essential tactic that dismantled the apartheid regime and the hegemonic forces behind it. Why did divestment work against apartheid? ◊ Divestment coalesced the individual and collective moral imperative to oppose apartheid itself. ◊ It exposed an oppressive system as inherently unsustainable and destructive to the majority of the people and the country. We can act now with the inherent moral responsibility to dissolve the profit from fossil fuel exploitation. We can become climate justice fighters who use our investments to speak loudly against fossil fuel devastation, and we need to start now.